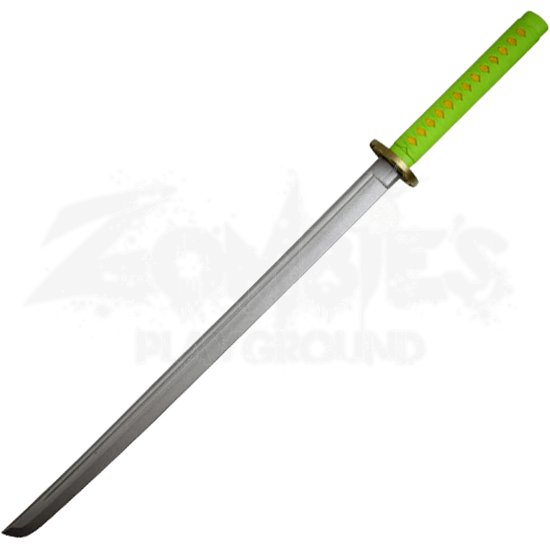 Wield a weapon with historic flair as well as safety when you add the Green Foam Samurai Katana to your costume or cosplay. This prop weapon has the look of an ancient Japanese samurai sword made safe by its foam construction. The steel colored blade has a slight curve to it in the style of traditional katana, and the round guard has a textured dragon design upon its gold colored surface. 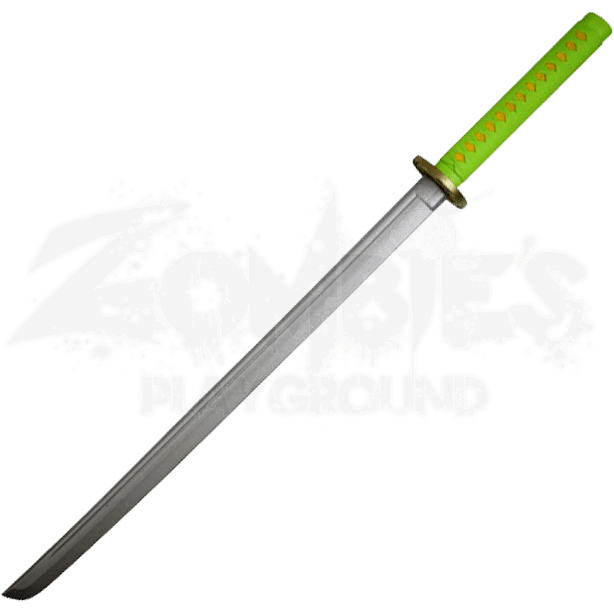 The grip looks just like an iconic katana hilt, with a yellow color underneath the look of neon green wrapping. Add authenticity to Japanese warrior looks when you incorporate the Green Foam Samurai Katana into your outfit.